A straight up new unit post with two additional Foot for my Crusaders, this time it's a Crossbow and a Spear unit. 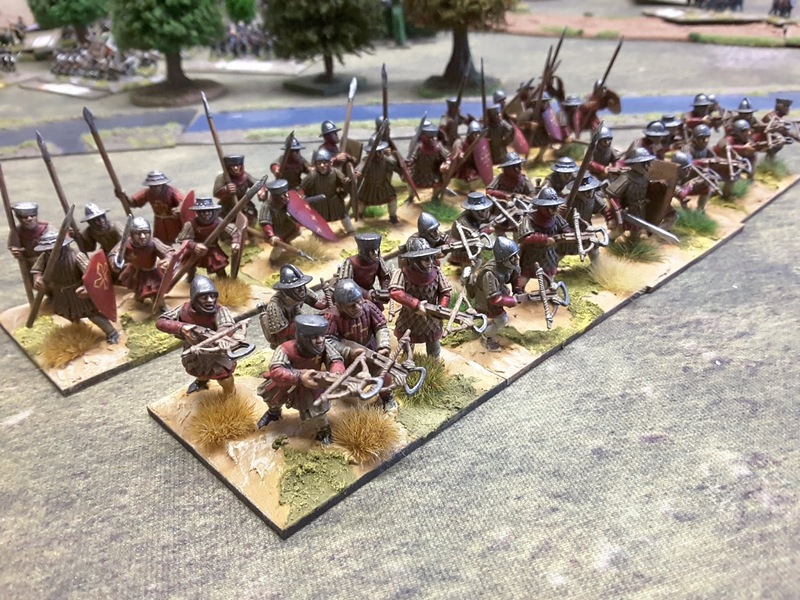 Using the Fireforge Miniatures box set I have managed 2 groups of 24 figures painted up to represent my interpretation of troops from the Outremer County of Tripoli. As an aside I have tried switching off Google plus comments as G+ is going to switch off in the near future, so if you are tempted to add comment on the blog, please do so I can see how the new system works. Look fantastic. Shields we're great!